Beejay Parnell, MSN, RN, has joined Pee Dee AHEC as continuing professional development coordinator, focusing on nursing education programs. She most recently worked in the McLeod Regional Medical Center neonatal intensive care unit and was also a part time nursing instructor with Florence Darlington Technology College. Beejay has her bachelor’s degree in nursing from the University of South Carolina and master’s degree in nursing from South University. In her free time, Beejay enjoys spending time with her family, church activities and cheering for the Gamecocks. Beejay can be reached at beejay.parnell@mcleodhealth.org. Cris Averette, MA, will also be a continuing professional development coordinator, responsible for allied health science professions programs. He came to Pee Dee AHEC from the Florence County Parks and Recreation Department, where he served as the recreation superintendent. He holds a bachelor's degree in English from Francis Marion University and a master's degree in theological studies from Liberty Baptist Theological Seminary. Cris’s education experience includes teaching high school English and coaching varsity soccer. He stays busy outside of work spending family time with his wife, Sarah Beth, and two young daughters, Tori and Campbell. Cris can be reached at cris.averette@mcleodhealth.org. Stephanie Flowers, MHA, joins the Pee Dee AHEC staff as a new health professions student coordinator. Stephanie earned her Bachelor of Science in psychology from Coker College with a concentration in counseling. In 2016, she earned her Master of Science in healthcare administration from Walden University. Stephanie comes to Pee Dee AHEC from the McLeod Health Cancer Center, where she supervised and coordinated the cancer center volunteer team, training, and oncology resource center. Stephanie is the proud mother of two sons, Justyn and Jayson, and a daughter, Maycin. Outside of work she is very busy managing their school and sports schedules. Stephanie can be reached at sflowers@mcleodhealth.org. Lance Butler, M.Ed., has also joined Pee Dee AHEC as a health professions student coordinator. A native of Pamplico, he was a secondary English education major at Francis Marion University and obtained a master’s degree in administration from the University of Scranton. Lance comes to Pee Dee AHEC after teaching English for Florence County School District One where he served as the English Department Head and on the curriculum development committee. Lance’s favorite pastimes include spending time with his wife Allison and daughter Evie and dabbling in the culinary arts. Lance can be reached at lance.butler@mcleodhealth.org. 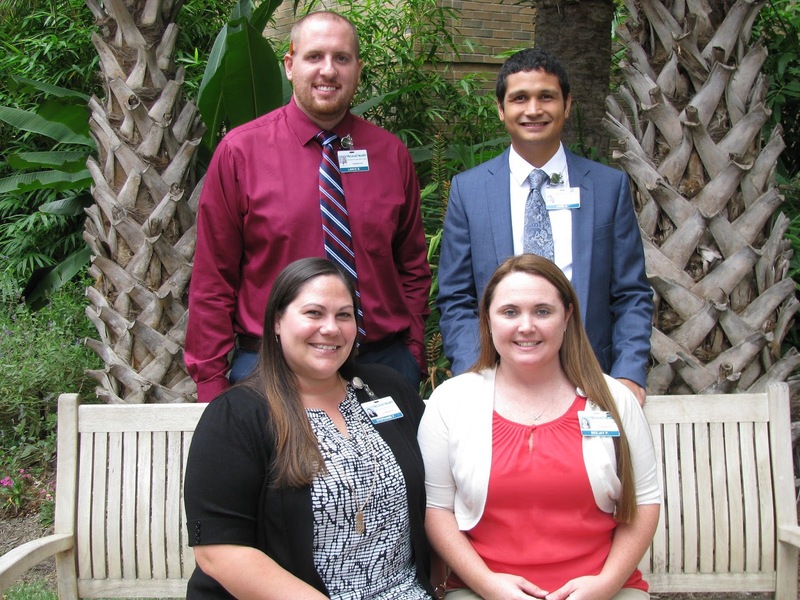 Welcome, Beejay, Stephanie, Cris and Lance to the AHEC family! We would like to welcome Marti Sturdevant to the Program Office (PO). Marti started on October 26 and joins the PO as a program coordinator, where she will be working on continuing education programming and assisting with the upcoming AHEC Scholars project. 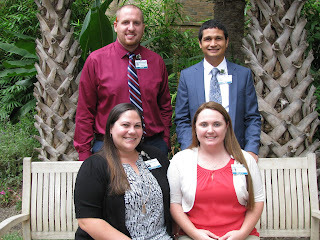 Many within the South Carolina AHEC System have known and worked with Marti for some time-- she comes to South Carolina AHEC from MUSC Family Medicine, where she was the program coordinator for the Family Medicine Rural Clerkship for three years. Marti also worked for more than eight years in MUSC Women’s Health, where she coordinated the maternal-fetal medicine and the reproductive infectious disease fellowships as well as medical student clerkships. Marti has a bachelor’s degree in business administration from Westminster College and brings a wealth of experience in medical education, health professions training, online learning management systems, WebEx, videoconferencing, databases and much more to the team. When not at work, she enjoys running distance races—but after completing her first marathon, she thinks she will stick to half marathons or shorter races from here on out. Welcome Marti! She can be reached at sturdev@musc.edu. 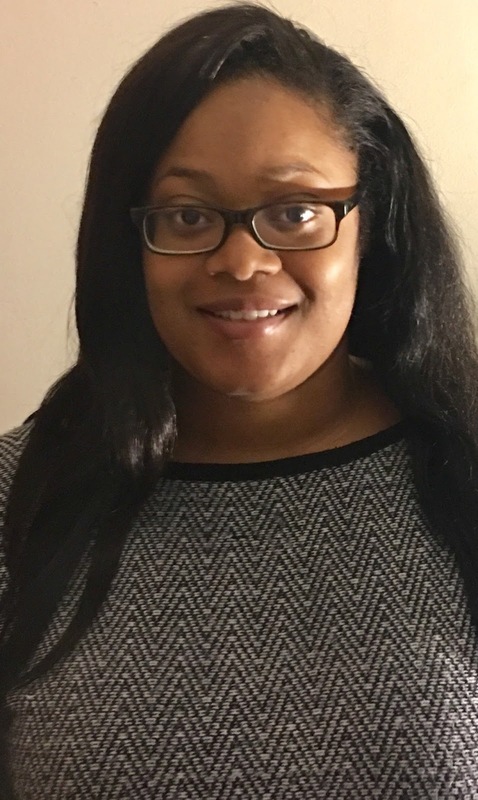 Jasmine Douglas, BS, CHES is the newest member of Lowcountry AHEC, joining the team on November 27 as a continuing professional development (CPD) coordinator. Jasmine has two bachelor degrees: one in sociology from Claflin University and recently a Bachelor’s of Science in health promotion from Charleston Southern University. She is a Certified Health Education Specialist and is eager to use those skills in her new role at Lowcountry AHEC. She has previously worked with the MUSC Wellness Center as a lead camp counselor as well as a peer educator for the Lowcountry Pregnancy Center. In her spare time, she has a cake baking and decorating business. Jasmine is originally from New Jersey and now calls the lowcountry home! Welcome Jasmine! She can be reached at douglasj@lcahec.com.